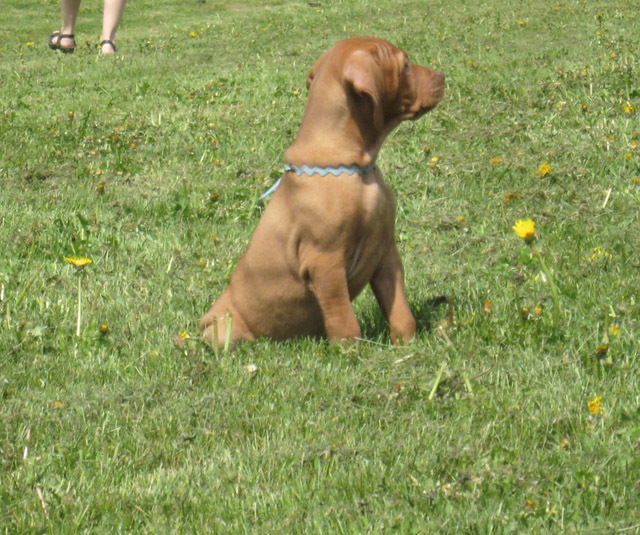 Cain came to us from Redrunvizslas' second litter out of Grace and Slick. 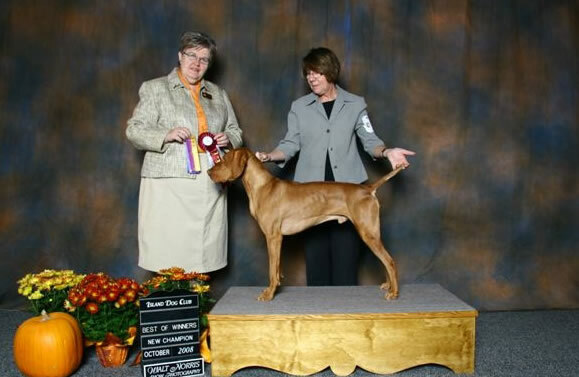 In the photos above he is shown free stacking at a show in Trenton,NS, with Deanna receiving his first 2 points and with Heidi completing his Championship. 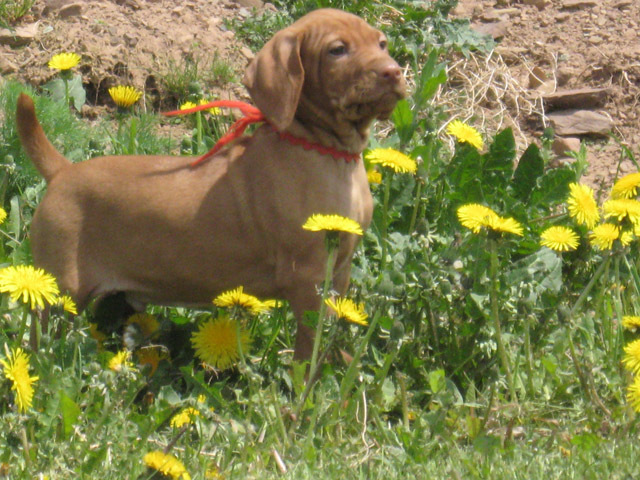 He is very sweet in nature and very eager to learn. Although he has spent time away with Deanna for showing and Liz for field training, he is happiest when he is home with us. 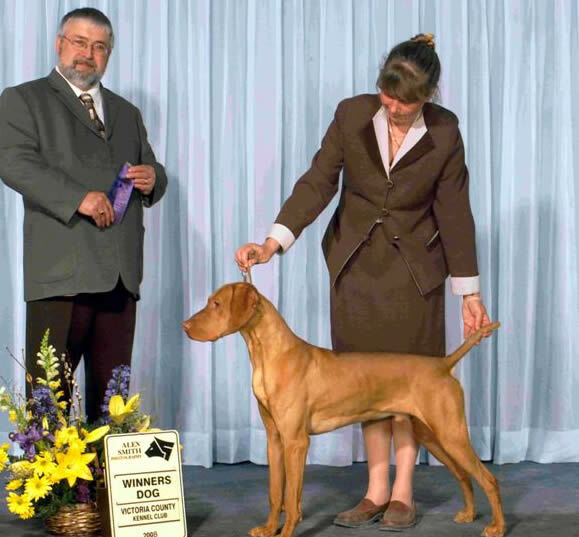 Liz put his Field Dog Jr and Navhda Natural Ability titles on him while his breeder, Heidi Wilkins, handled him to complete his Championship in Prince Edward Island. 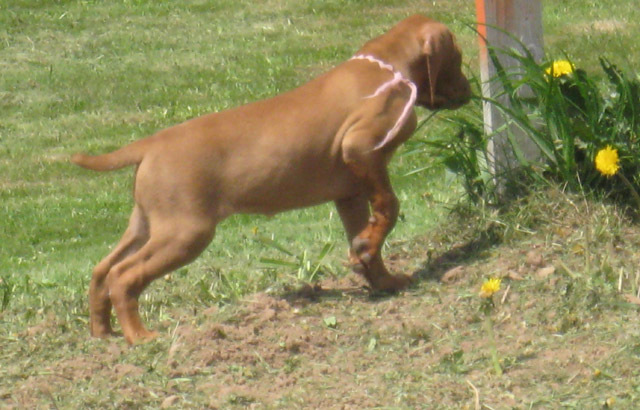 He sired his first litter for us with Cali as the dam, 5 beautiful pups. 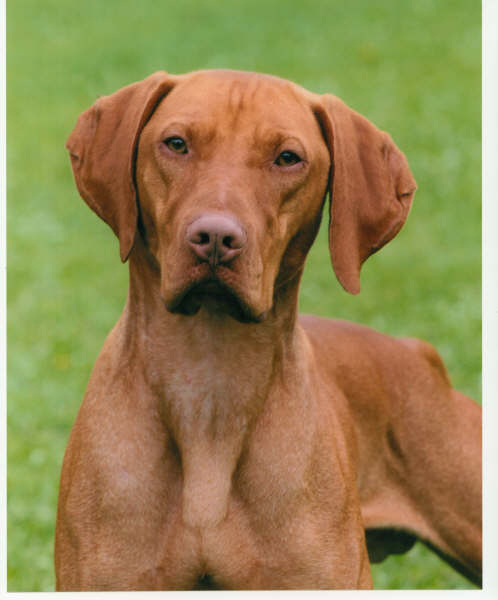 If all goes well, we will use him with our Piper girl for a litter.